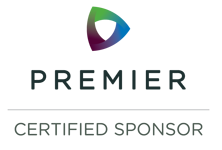 Healthcare Procurement Solutions (HPS) is pleased to announce a new partnership with ClearSpec LLC, a manufacturer and supplier of an innovative Vaginal Speculum and illuminator (Healthcare Procurement Solutions (HPS) Contract Number: HPS1101). Its flagship product, the ClearSpec Single Use Vaginal speculum, is a patented and FDA cleared device scientifically proven by an IRB randomized clinical study to improve visualization of the cervix. ClearSpec addresses the problem of improper visualization of the cervix for the diagnosis and treatment of cervical disease, improving patient outcomes for women worldwide. The ClearSpec clinical study "Sheathed versus standard speculum for visualization of the cervix", was published in a highly regarded Journal, the International Journal of Gynecology and Obstetrics. The study concludes that the Investigators were able to visualize "a significantly greater percentage of the cervix using the ClearSpec sheathed speculum when compared with a standard speculum". 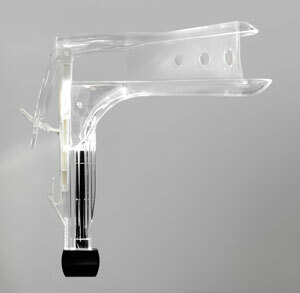 ClearSpec also provides an innovative LED Illuminator designed to fit into the handle of its speculum. Combined with the patented ClearSpec sheath, the illuminator provides optimum view of the cervix for all vaginal exams and procedures. The illuminator is powered by low voltage alkaline button batteries and provides crisp, natural white light. LED lights do not produce heat and are comfortable for the patient. When inserted into the handle of the speculum the illuminator turns on automatically. Once removed the light goes off. The ClearSpec illuminator is a cost effective solution for health care providers. It is a low cost, reposable (limited use) device which provides up to two hours of light without recharging and can be used for up to 100 exams or procedures. Once the light begins to fade, simply discard it and start with a new one. By using this reposable LED light source designed to work with the ClearSpec Speculum, health care providers can perform exams without the hassle of high cost plug in corded lights or rechargeable battery operated light sources. ClearSpec is pleased to offer this innovative technology to the members of Healthcare Procurement Solutions (HPS). Participating members will save substantially when purchasing the ClearSpec speculum and illuminator. The the ClearSpec Single Use Vaginal speculum is mainly for use by OB/GYN providers and is a local contract for HPS that can be purchased through McKesson distribution. In order to access special pricing, a provider must be an HPS member purchasing through McKesson distribution.